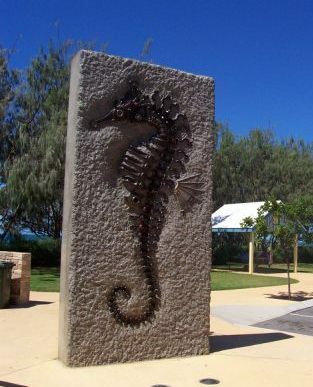 The Sea Horse above is a familiar sight on the esplanade at Tannum Sands. The Tannum Sands Uniting Church is part of the Presbytery of Central Queensland and the Synod of Queensland. Web links to these are found on the menu at the right. Our general location is on the coast south of Gladstone. A Map to our Church can be found on the ‘Where we are’ link above. Also check out the Local Community link for more information. Reaching out to our community with the love of God. 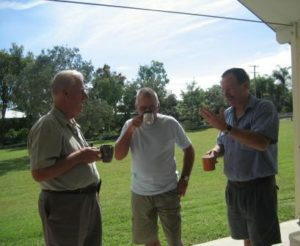 An after Church cuppa helps us keep in touch with one another. Our services usually go for around an hour. Our music is a mix of both traditional and contemporary styles. Included during the service is a children’s story. An activities folder is available for children during the service. Check out our Messy Church Link.